It is critical for organisations to craft reliable business resilience solutions to protect against the negative impact of business disruption. Although the majority of South African organisations are aware of the importance of a business resilience strategy, many would benefit from streamlining their disaster recovery and business continuity plans, therefore enabling a swift recovery. Just over half of the respondents (59%) to a recent survey indicated their organisation does indeed have a business resilience plan in place. Of this combined percentage, 16% said they have a disaster recovery plan and 8% said it is a business continuity plan. "A business continuity plan is critical because it looks beyond dealing with an emergency or disaster itself. 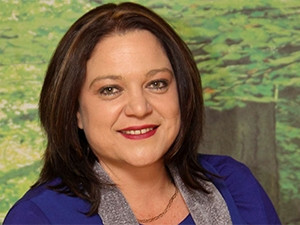 It considers what will be required to get the business up and running as soon as possible after an event," says Cindy Bodenstein, marketing manager at ContinuitySA, commenting on the results of the ITWeb/ContinuitySA 2017 Business Resilience survey, which ran online during February. Elaborating on this key finding, Bodenstein points out that having a detailed plan that is regularly tested will minimise the effects of a disruption within an organisation, thereby reducing the risk of financial loss. "Retaining a positive company brand and image gives staff, clients and suppliers confidence in an organisation's services." Cost emerged as the main reason (33%) for respondents not having a business resilience plan in place. "As an organisation, you can face even greater business continuity risks should you not have a business resilience plan in place, with business failure being one of them. A whopping 75% of companies, according to statistics, experience business failure within a three-year period if they do not have a business continuity plan in place," Bodenstein points out. According to the survey, lack of resources and skills (24%) rated the second most important reason for not having a business resilience plan in place. Connectivity came in third at only 2% of respondents. "The objective is to minimise the disruptions in business to maintain high trust and confidence in the organisation. Management should proactively incorporate business continuity considerations into the overall design of its business model to mitigate the risk of service disruptions." Bodenstein goes on to say several factors can show an ROI for business resilience when monitored and will also indicate that a business is mature in its overall business continuity. Some of these factors include a proper business case for BCM, BCM objectives and framework; resources and expertise; incident management framework; emergency response framework; and reputation and trust management. The results were nearly evenly split when respondents were asked what caused their organisation downtime within the past two years, with 56% stating power outages and the balance stating software/network failure. "Ensure you put a business continuity plan in place as this will highlight guidelines, systems, policies and procedures that need to be kept on track in the event of a disruption," says Bodenstein. It also emerged from the survey that a third of respondents (34%) said they are very confident their organisation can continue business with negligible disruption in the event of a disaster. Commenting on this finding, Bodenstein says an organisation should ideally conduct a business impact analysis to identify time-sensitive or critical business functions and processes, and the resources that support them. "Once this has been carried out, an organisation can then identify, document and implement to recover critical business functions and processes." She notes a business continuity team should be set up to compile a plan to manage a business disruption. An overwhelming majority of respondents (80%) stated the primary reason for their business continuity management programme is organisational resilience and continuity of business. Reputation protection came in second at 55%. "Having a business continuity plan enhances an organisation's image with employees, shareholders and customers by demonstrating a proactive and mature attitude towards business resilience." Bodenstein points out that additional benefits include improvement in overall organisational efficiency and identifying the relationship of assets, human and financial resources to critical services and deliverables. The survey also revealed security remains the biggest concern among respondents when putting mission-critical applications in the cloud (52%). Accessibility came in second at 16%. Just over half of the respondents (57%) believe cloud computing and a mobile workforce alleviate the need for a disaster recovery site; however, 37% are not in agreement with this. Bodenstein comments on this finding: "For some organisations this may be the case. For example, with cloud disaster recovery in place, businesses can recover critical IT systems and data without the expense of a DR site. It is dependent on the organisation and what their requirements are as outlined in their business continuity plans."